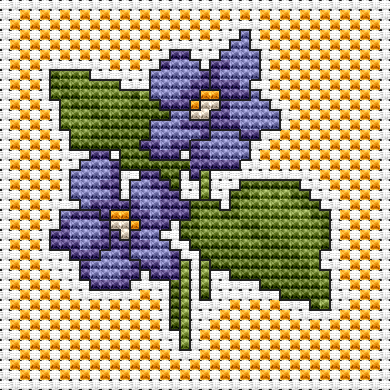 A new free floral cross stitch pattern was added today. VIOLETS by www.alitadesigns.com. Click here to download the chart in PDF format. Very nice :)) Thank you for all your sweet free patterns, Lydia.